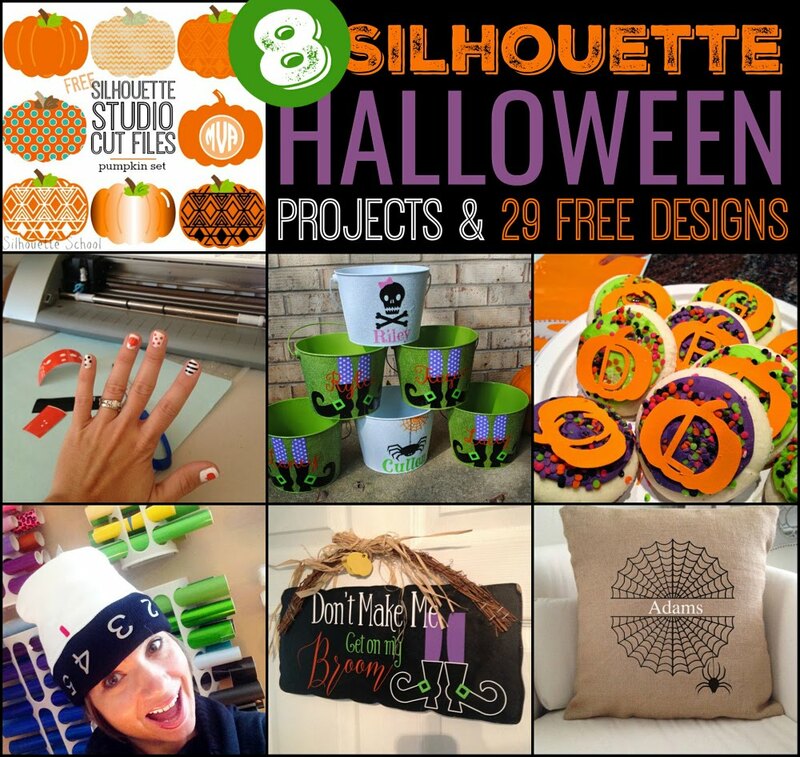 If you're looking for some Halloween Silhouette project inspiration, you're in luck! 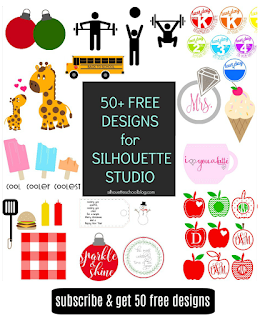 Today I'm sharing a 7 Silhouette Halloween projects and free cut files with you that we've shared over the years right here on Silhouette School. 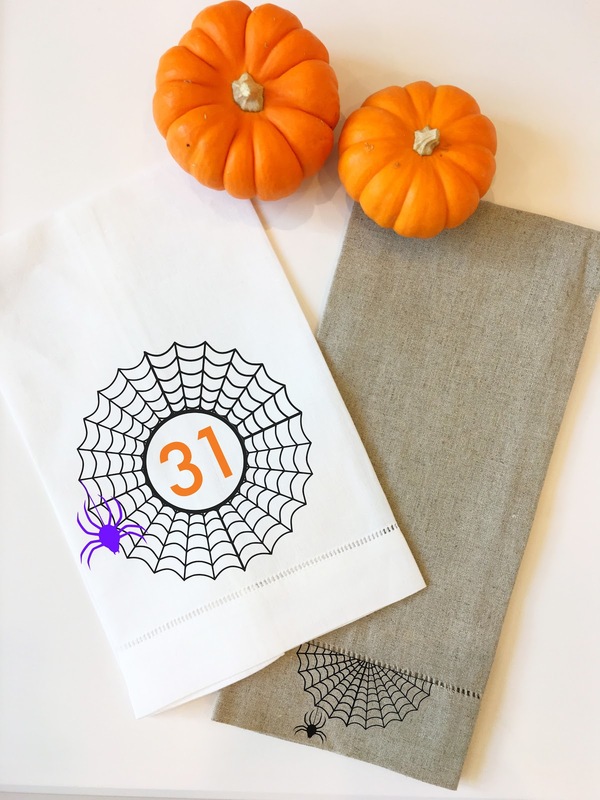 So whether you're looking to make Halloween buckets, DIY Halloween home decor, or decorate your nails - we've got you covered! 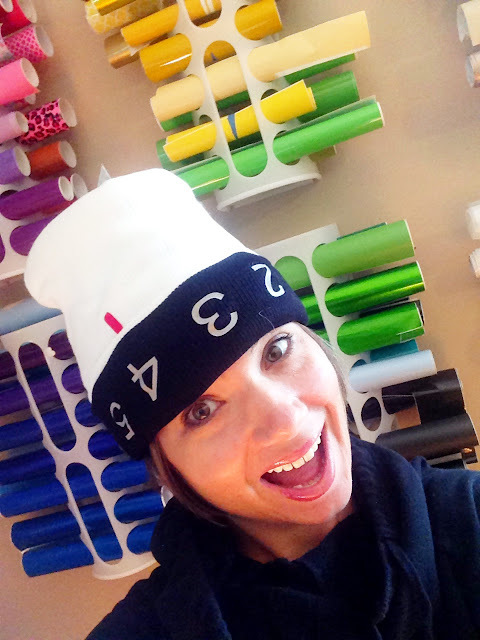 You can easily customize Halloween buckets with vinyl! 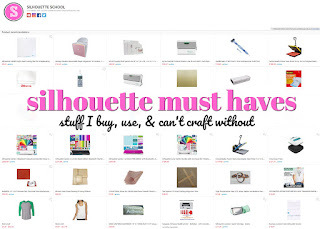 Check out this Silhouette tutorial for the trick to getting the vinyl to stick to glitter buckets and to grab the free design here! 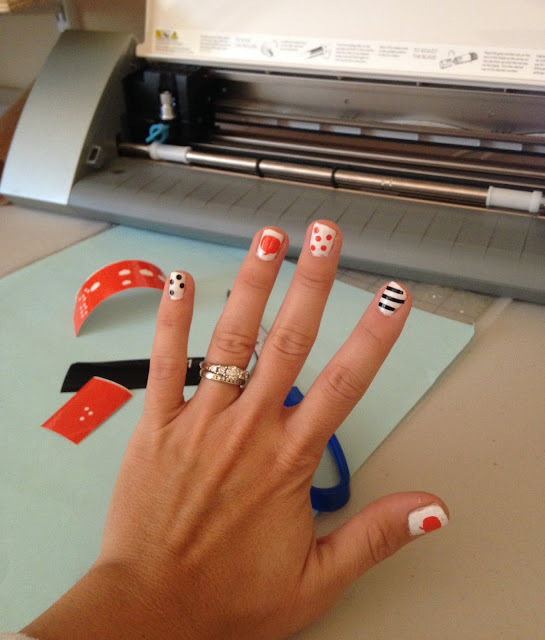 Some polka dots, stripes, and pumpkins cut on vinyl scrap piecs and yu've got yourself a DIY Halloween manicure! 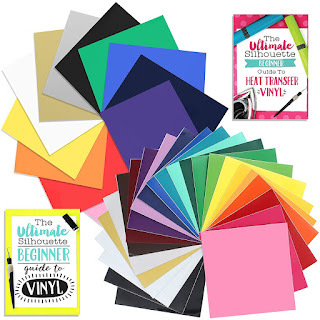 Grab the pre-sized vinyl nail decals here free. Grab yourself a black and white hat, add some HTV and you've got yourself Silhouette Blade Halloween Costume! 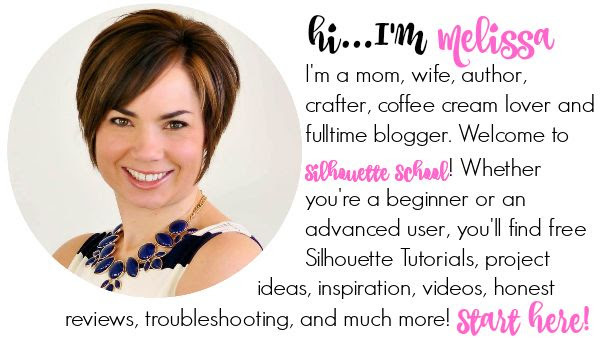 Check out how easy it was to make this - and 5 other Silhouette-inspired Halloween costumes by some of your favorite Silhouette bloggers! Looking to make a fun Halloween wood sign? This witchy design can be used for wood signs or printable! 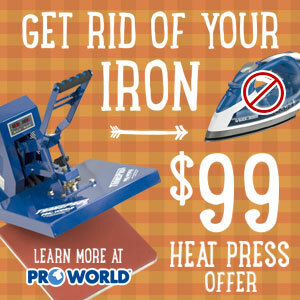 Grab the free Halloween cut file and either print or cut it! 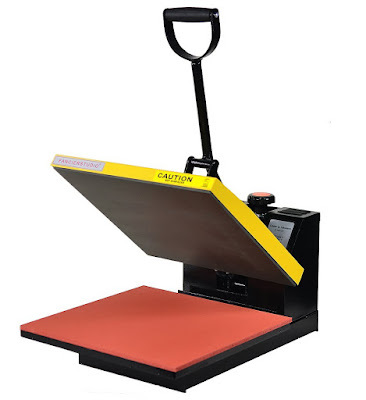 Use them for paper project, monograms, banners, sticker or with your scrapbook layouts! 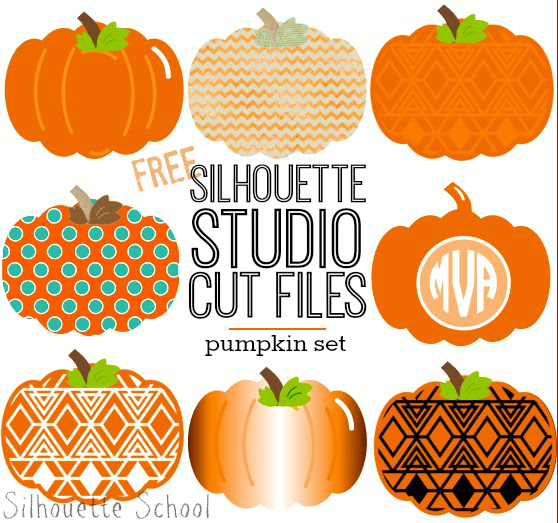 This set of 9 pumpkin designs is as versatile as it is cute! Download the full set of Silhouette pumpkin designs here. 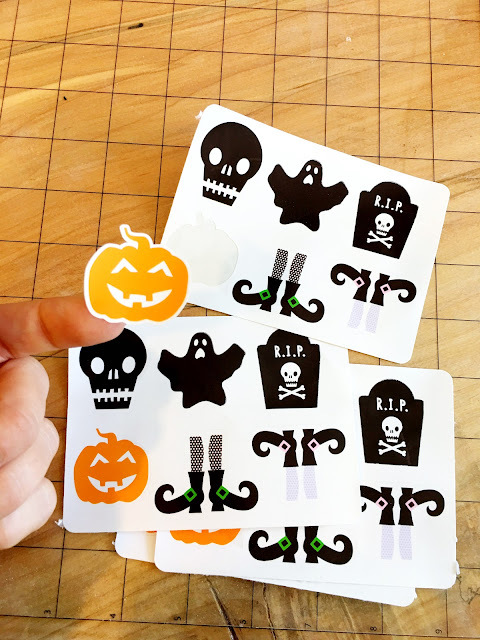 Make a set of cute stickers to give out instead of candy, share with your child's classmates or decorate your planner for Halloween! This Silhouette tutorial will show you how to print and cut these sticker sets and you can download the full Halloween sticker set here. 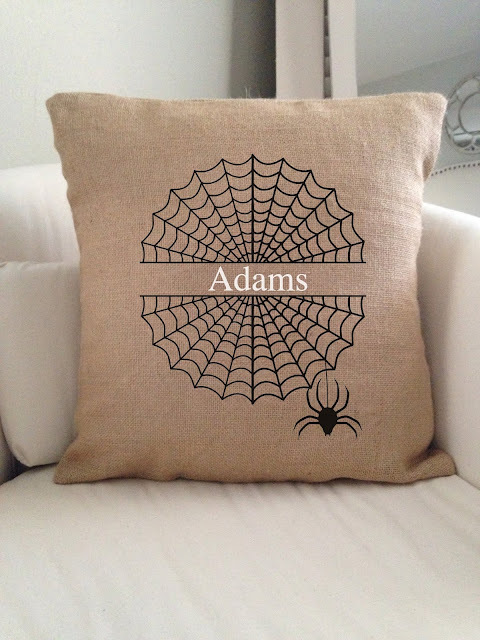 Make pillows, shirts, bags, tea towels, and more with this free set of 12 spider web designs. Cut Sugar Sheets to Decorate Halloween Cookies! 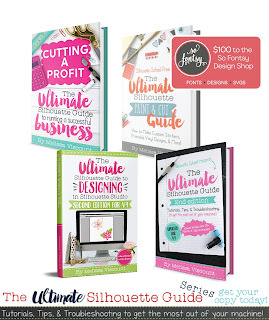 Check out these tips for cutting sugar sheets with Silhouette and take your cookies (or store-bought treats) up a notch!